Obituary for Gloria Doolan | Cyril F. Mullins Funeral Home Inc.
Gloria (Diaz) Doolan, age 89, of Bridgeport, Connecticut, passed into the presence of her Creator on Tuesday, September 4, 2018. 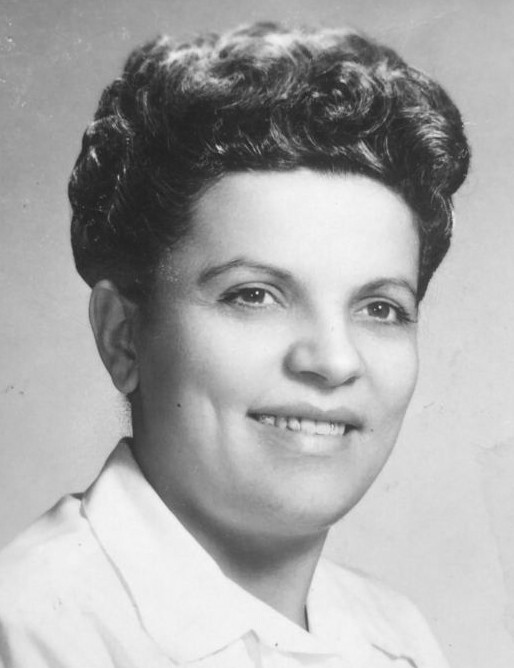 Gloria was born in Rio Grande, Puerto Rico, and relocated to the Bridgeport area during the late 1940's. She was a true woman of God and a dedicated member of the Good Shepherd Christian Church, serving in numerous capacities over the years, including deacon, Sunday-school director, and youth counselor, etc. Gloria was well-known within her faith community, travelling to Spanish-language Assemblies of God churches throughout the greater New York area to lead women’s groups and deliver sermons. In the early 1970’s, she helped establish the former Helping Hand Center in Bridgeport, a faith-based center for those recovering from alcohol and drug addiction. For over 20 years, she helped raise funds for the center, managed their day-to-day record keeping, and taught Bible lessons. Many of the residents simply referred to her as, “Mom.” Gloria was a chaplain at the Bridgeport Correctional Center, delivering monthly sermons (and peppermints) to the inmates. She touched the lives of too many people to mention and will long be remembered for her intelligence, faith, fiery personality and sense of humor. Gloria will be sorely missed by her children: Carmen Santiago and spouse Hector Santiago; Charles Michael Ramos (Mickey) and spouse Luz Amparo Ramos; Linda Doolan Castagliuolo (and the late Frank Castagliuolo); Patricia Doolan Donnelly and spouse Michael Donnelly; Diane Diaz Doolan and spouse Chris Bourg; and James Joseph (Jim) Doolan and spouse Leonore Curral Doolan. She will also be missed by her many grandchildren and great-grandchildren, including Brian Santiago, Jessica Ramos (and Alani), Lora Castagliuolo, Nicholas Donnelly, Patrick Donnelly, Caitlin Bourg, Lindsay Wilson, Taylor Doolan, Alyssa Doolan, Brook Doolan and little Aiden. Her niece Gladys Soto and husband John will also miss her dearly. Gloria is survived by siblings Cecil Diaz, Isaias Diaz, Sara Morales, and Angelita Escobar. She is predeceased by her former husband Francis William Doolan, her son, Alfredo Cordero, Jr., her grandson, Michael Santiago, her great-granddaughter, Keylyn Santiago, and by siblings Gladys Camacho, Ruben Diaz, and Samuel Diaz. Calling hours will be held on Friday, September 7, 2018, from 3-7 p.m. at the Cyril Mullins Funeral Home, 399 White Plains Rd., Trumbull, CT. A service will be held on Saturday, September 8, 2018, at 10:00 a.m. at the Cyril Mullins Funeral Home, with burial following directly afterwards at the Lawncroft Cemetery, 1740 Black Rock Turnpike, Fairfield, Connecticut. In lieu of flowers, contributions can be made to the Alzheimer's Association https://www.alz.org/ct or to the Good Shepherd Christian Church, Missions Program, 725 Hancock Avenue, Bridgeport, CT 06605. Please sign our online Book of Memories and include your thoughts, memories, prayers, and pictures.